If you’re anything like me, you’ll do whatever it takes to reduce both the severity and the frequency of your snoring. When I came across the Optimum Sleep Workout, I was initially skeptical. Could exercise be the final cure for snoring? To find out, I put the product to the ultimate test and dived headfirst into the Optimum Sleep Workout’s 8-week program. The Optimum Sleep system is a method to stop snoring that complements or can be used in place of anti snoring devices. While it doesn’t come cheap at $106, the Optimum Sleep Workout is a physician-backed comprehensive system that is clearly designed to gradually increase in intensity. Don’t let the word workout scare you! The workout aspect of this is minimal in gym terms and while it can be considered yoga for your mouth, it is no way exhausting – which is great because it means anyone can do it regardless of their physical condition. The 8-week program is divided up into four cycles, with each cycle consisting of 2 weeks. In the first cycle, weeks 1 and 2, you start off gently exercising 4 days a week. In week 1, you simply complete 5 exercises as directed and then complete the second set to finish it off. Week 1 introduces you to simpler exercises, which pop up over the course of the workout plan. The great thing about each exercise is that it tells you how to do it in detail and explains why it is important. Sometimes the descriptions can be a bit technical, for example in the Tongue Jolt exercise which is designed to strengthen the genioglossus and hyoid. However, sometimes the exercises get a bit technical and hard to understand in practice. This is where the videos help and demonstrate exactly how to do the exercise. In week two, the days of the week change which is great because that ensures you don’t get fixed into a specific routine. The number of exercises also jumps up to 6, but still two reps. Three reps are advised for weeks 3 and 4, where you are allocated 7 and 8 exercises respectively. The first week in cycle 3 takes it up a notch with 8 exercises across four sets, followed by week six where you complete the same. The final cycle, weeks 7 and 8 lead you to your final goal of completing a whopping 10 exercises across five sets. Completing 10 exercises in five sets may sound like a lot, but it is designed to be completed in as little as 20 minutes a day. If you’re busy, you could easily fit it into your work break, as a quick after work cool down, or as part of your morning routine if you feel like waking up earlier. Be warned: initially, these exercises will make you laugh and you can’t help but make noise when saying “ahhh” over and over! Like yoga, the exercises must be performed in sequence to be effective because they target related areas and strengthen them with a proven step-by-step technique. Although not a product of the Optimum Sleep Workout, the company recommends customers download the SnoreLab app to monitor snoring. As I’ve mentioned in previous reviews, I was impressed with SnoreLab’s insight into my snoring habits. The initial app is free, but the Premium app is required to get the full benefit of tracking which allows you to see improvements you have made. Keep this in mind if you intend to purchase the Optimum Sleep Workout, as the extra investment will pay off. Coupled with the Optimum Sleep Workout, the SnoreLab app will give you the motivation to improve your sleep habits. 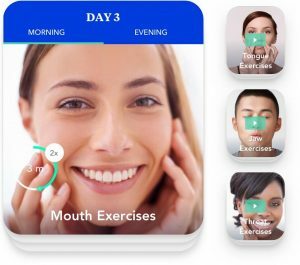 By simply browsing the SnoreLab app, you can come across a wide variety of anti-snoring remedies which you may or may not have tried. This includes CPAP, a mouthpiece, side sleeping, a tongue retainer, nasal strips, nasal dilators, nasal sprays, throat sprays, wedge pillows, air purifiers, humidifiers, surgery, positional therapy, anti-snore pillows, a neti pots, allergy relief, and chin straps. You can also see which lifestyle choices or compounding issues may contribute to your snoring, such as excess weight, alcohol consumption, a blocked nose, exhaustion, heavy meals, sedatives, dehydration, smoking, or ingesting caffeine. Voted the number one snoring solution of 2018, optimum sleep boasts an incredible number of reviews. With 98% user satisfaction, plenty of customers repeatedly state it exceeded their expectations. For a natural, non-invasive snoring solution this is promising news. In addition to glowing reviews from existing customers, who enjoy lifetime access to the product with a single payment, the website boasts multiple reviews from medical professionals who agree wholeheartedly that targeted exercise is the best approach to reducing snoring. With a high rate of user satisfaction, this allows the company to offer a very generous 60-day money back guarantee. Unlike other products, you don’t have to take the risk your money will be wasted should it not work out for you. In 60 days, you can try the majority of the program and then decide if you’d like to proceed through to the full 8 weeks. From the statistics, it looks like most customers were satisfied enough with their reduction in snoring as seen in recorded statistics, which you can view on their website, to continue with the plan. I bought the Optimum Sleep Workout and promptly tried week one’s exercise series. Thankfully, I found them to be relatively easy to perform which is great. However, I found the instructions hard to understand in places. 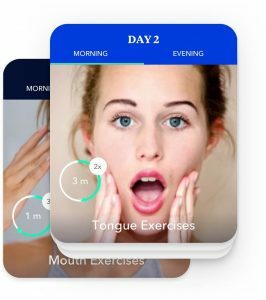 In my opinion, this program has the potential to transform snoring, but I think it should be combined with a general exercise program as well as weight loss for maximum, long-lasting effects. If you don’t want an invasive snoring therapy device such as a mouthpiece or CPAP, this is the perfect solution. The 60-day money guarantee gave me confidence when buying the product, so if you think you’re ready to take on the challenge you have nothing to lose, except perhaps your double-chin, by signing up today. How is Your Sleeping Position Affecting Your Snoring?